We are delighted to announce that the third International PebblePad conference will be held in Victoria, Australia, from Monday 14th to Wednesday 16th April, 2014. Set amongst the wineries of Lancefield, a small town north of Melbourne, PebbleBash 2014 continues the tradition of the intimate residential conference. PebbleBash aims to maximise opportunities for learning, networking, and collaboration in a friendly, focussed and professional environment. This free half-day event will help you think through issues and challenges relating to the Higher Education Academic Record and provide an opportunity to reflect on how a relationship between the HEAR and an eportolfio system like PebblePad can add real value to both student and institution. If you&apos;re attending this event in the morning you might also like to stay around for the afternoon session, which will take a look at the development of our new Personal Tutoring System - Flourish. Booking on both the morning and afternoon events guarantees more insightful information than you&apos;ll know what to do with as well as a free lunch. We’re really excited about the development of Flourish - our new Personal Tutoring system due for release in summer 2014. This event will be part ‘show and tell’ and part consultation – where participants get to tell us what they’d like to see in the toolset. If you are thinking about coming to this event you might also want to have a peek at the morning session looking at the HEAR and PebblePad. A FREE one day event jointly hosted by Pebble Learning and ALTSTRAT for those interested in exploring strategies for developing effective CPD management for busy health professionals. Only a fortunate few were able to make it to the full &apos;Bash in Australia but don&apos;t worry, think of that as a warm up for the UK MiniBash. We&apos;re taking all of the best bits of the &apos;Bash and condensing them into something potent and full of fizz for the UK National Gathering. The programme is largely devoted to explaining, discussing and tweaking the exciting developments lined up for delivery over the next two-years. Specifically we will introduce the new mentoring and supervision system Flourish, talk about the transition from Flash to a new HTML5 single-page application, discuss our mobile and app strategy and introduce you to some very big changes in how users will experience PebblePad in the future. To view more information and to book your place click here. PebblePad are proudly sponsoring this years AAEEBL’s Executive Summit Generative Coaching: Fostering Transformative Learning in People and Organizations, facilitated by Melissa Peet, Ph.D., University of Michigan’s Stephen M. Ross School of Business, on Monday, July 28, 2014. To that extend we would like to invite you to represent your organization , followed immediately by AAEEBL’s Annual Board Reception at the Hynes Convention Center, Boston, Massachusetts, USA. Please reply by email on or before July 14 to Judy Williamson Batson. 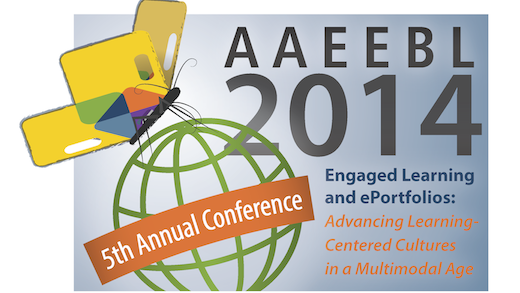 PebblePad will also be present at this years AAEEBL Conference which is held under the theme Engaged Learning and ePortfolios: Advancing Learning-Centered Cultures in a Multimodal Age. We will be presenting at the Australian ePortfolio Forum in October. The two-day forum entitled &apos;Moving Forward&apos; will comprise a range of presentations, workshops and facilitated conversations exploring the increasing role of eportfolios in professional and educational contexts. PebblePad is delighted to announce the launch of a series of regional community meetings as part of our plans to support better engagement across our brilliant community. Our one-off user groups have always been a roaring success (and not just because of the excellent cake) and so we&apos;re going to make them a regular thing. Meetings will take place across five different regions of the UK (Scotland, North West, North East, Midlands and London) with the aim to have at least two meetings per region each academic year.